A few months ago, I blogged about the NLRB's opposition to confidentiality provisions in workplace investigation policies. Now, the NLRB has issued a new advice memorandum briefly addressing the issue. [T]he Employer cannot maintain a blanket rule regarding the confidentiality of employee investigations, but must demonstrate its need for confidentiality on a case-by-case basis. [Employer] has a compelling interest in protecting the integrity of its investigations. In every investigation, [Employer] has a strong desire to protect witnesses from harassment, intimidation and retaliation, to keep evidence from being destroyed, to ensure that testimony is not fabricated, and to prevent a cover-up. [Employer] may decide in some circumstances that in order to achieve these objectives, we must maintain the investigation and our role in it in strict confidence. If [Employer] reasonably imposes such a requirement and we do not maintain such confidentiality, we may be subject to disciplinary action up to and including immediate termination. So, employers, there's your roadmap. Just one more thing . . . in my post linked above, I noted that the EEOC is also taking aim at confidential investigations. 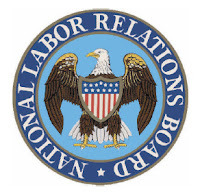 Does the NLRB's advice memo pass EEOC muster? I tell ya, nothin's ever easy. See also: Jon Hyman's NLRB Offers Further Guidance on Confidential Workplace Investigations; and WinWinHr's Internal Investigations: NLRB Suggests Confidentiality Language.